This is indeed real life and not a fantasy! 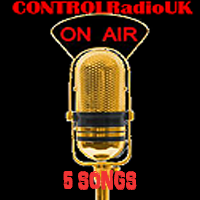 Do not adjust your screen your eyes are not deceiving you, after a small break I and your beloved CONTROLRadioUK 5 Picks are indeed back! What better way to start than with this beautiful video right? I completely agree. Whilst I wish a music video that has a gay couple at the centre didn't have one of them dying, I'll let it go in this instance because the video storyline does perfectly match the songs lyrics. Zara Larrson was propelled to worldwide success with her single 'Lush Life' and whilst that song got stuck in my head due to the endless plays on music channels & radios, her follow-up singles have not been the greatest & her album is not on my "to buy" list. Considering how young she is though, I haven't given up hope yet that she'll turn a corner musically and this duet with Clean Bandit could be the start of that. As for Clean Bandit, they're not a band to feature regularly on my playlist but these last 2 duets have been rather good. I just hope they don't fall into the trap that so many Artists/Bands do in trying to replicate the sound on follow-up singles, because that's when things get really boring & real generic real quick. The first of 2 songs this week that make me feel as though I've stepped into a time machine, but I do really like the retro sound this song has got. Based on the limited amount of songs I've come across from that era, it reminds me a lot of the 60's whilst my CONTROLRadioUK HQ peers that were actually alive in that period of time (I know I work with some real dinosaurs) think this sounds very 70's. Either way I like this when I wasn't expecting to, but I wish more had been done with the video. That small criticism aside though Dream Wife are the type of band our EDM-generic beat-and lyrics to match- era of music is crying out for. Something unique, something different, with a heap load of potential. Music videos I am not a fan of? Ones where the Artist/Band is performing the song without any story, where the story doesn't match the lyrics at all, when there is no story, when Artists/Bands are singing in front of a bland white screen for 5 minutes & look as though they can't wait to be done with the day and finally! BTS tour videos. Mixing two types of videos I don't like together? Well that's even worse but fortunately for American Authors here, the song is good enough for me to look past the visual efforts and love it. The lyrics are a little generic in places, but I love the music. It's solid throughout the song, going down & back up in the right places. Is it a sound I've never heard before? Not even close but it is still enjoyable and as we creep towards summer, I prefer to listen to enjoyable music with a bit of passion hidden aware compared to generic EDM beats (I swear I don't actually hate EDM I'm just sick of the same beats in every song).